Combine all ingredients, except Spicy Corn Relish, in non-reactive bowl until well mixed. Portion into cakes, 4 (2-ounce) cakes or 8 (1-ounce) cakes. Heat 2 Tablespoons olive oil in non-stick pan and sauté until golden brown and heated throughout. 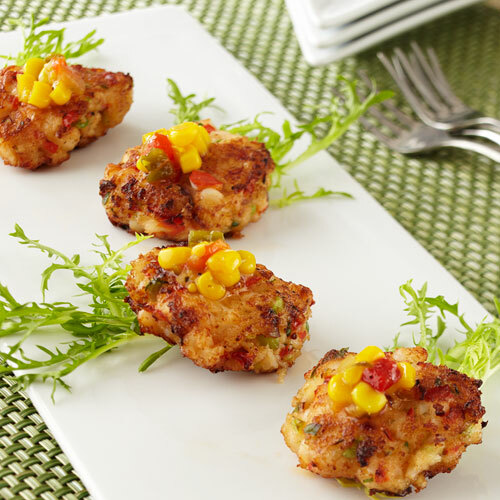 Use Spicy Corn Relish for garnish.